PetRescue emailed at 4pm yesterday - the Thursday before the Easter long weekend - wishing their rescue groups happy easter. Because nothing says "we appreciate you" at a busy and stressful time of year, like an interactive flip book of criticisms. 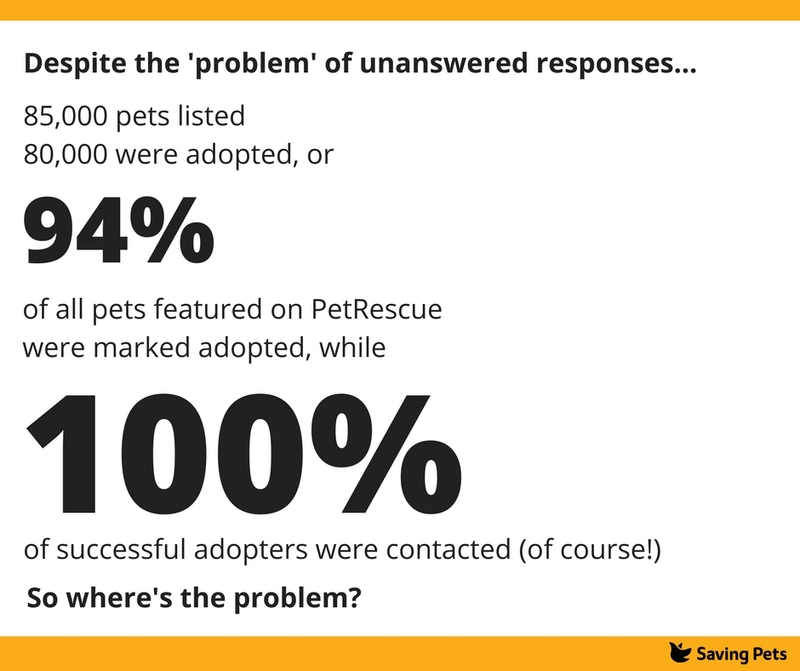 But what is the "problem" PetRescue is working to solve in a nutshell? 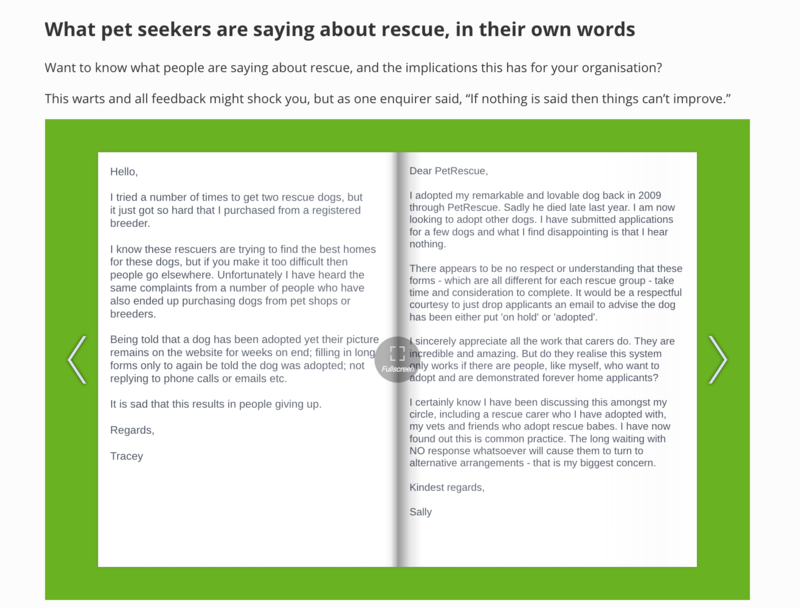 PetRescue are grumbling that at least one-third of their helpdesk enquiries involve people complaining about a lack of response from rescue groups. In the past year, the PetRescue Help Desk received more than 9,000 public enquiries. Almost 3,000 of these were from heartbroken people who had enquired about rescue pets and not received any response. With thousands of prospective adopters lost every year, it adds up to a whole lot of lost opportunities - for all rescue organisations wanting to connect with potential supporters and financial donors, and for the very pets who are counting on people choosing the adoption option. Firstly, let's take a look at PetRescue's rehoming statistics for last year, according to their own figures. The first thing you obviously notice is that there is twice as many adopter applications as there is pets. Which makes the chances of anyone being successful at getting a pet from the site, at best, 1 in 2. 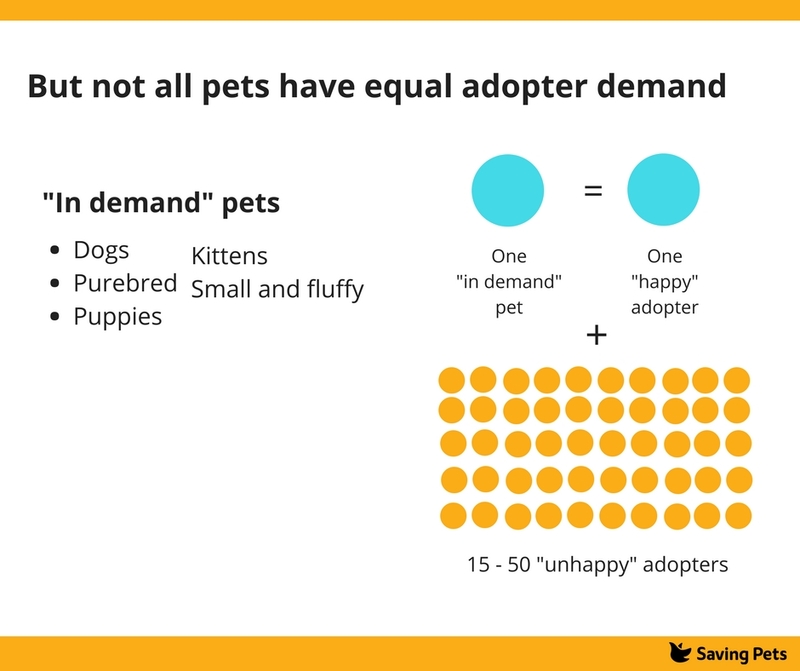 But of course, not all pets have the same adoption demand. For a start, cats are much less likely to be sought out for adoption, than dogs. There is today, just shy of 10,000 pets available for adoption on PetRescue, with 7,000 of them being cats and just 3,000 being dogs. So most applicants on the website are going to be fighting it out for just 3,000 pets. But even dogs aren't all sought equally; so each "in demand" dog will see one happy adopter - and 15 - 50 unhappy, unsuccessful adopters. Repeat this phenomenon hundreds of times a day and of course there will be a significant number of people who apply for multiple pets and begin to feel that they're being ignored. It is also not an insignificant workload to send 15 - 50 "unsuccessful" notifications, then to deal with the responses from the public challenging the notion that they aren't the most suitable home - for every single pets, hundreds of times a year for each group. And this doesn't include phone applications! Even with the best intentions, groups can easily find this a huge waste of resources better spent on things which actually save pets and find them homes. But it causes a huge problem when groups don't respond! People go to other sources of pets! ALL successful pet applicants are contacted - obviously. So 100% of pets who are connected with the right owner, are contacted and go to that right owner. 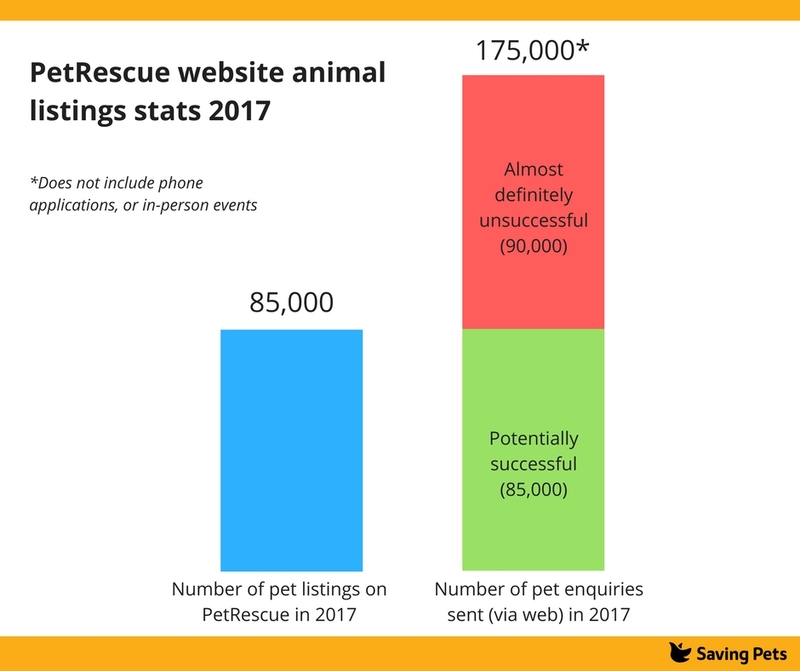 But the more significant statistic (again, coming direct from PetRescue's own data) is that 94% of all pets listed are placed. In previous years, more pets were adopted than were even listed. So there's actually no definable "problem", in that rescue literally can't process pets any faster with the resources they currently have, and already all of these pets are being placed. There are no more pets for people to adopt in the PetRescue system. And with PetRescue asking rescues to give up their "rescuing" time to do increased admin like emailing unsuccessful applicants, you could potentially reduce the number of pets going into care - hardly the desired outcome. Can the "Matchmaker" system solve this problem? Depends on what problem. Pets with low demand, probably find their owner on the first go or at least the first couple of goes, giving rescues the easy experience of handling adopters as they come in. Which is why some people coming to the site seem to have a straight forward experience, while other people (applying for high demand pets) may make multiple applications, finding themselves in a massive pool of people, numbering sometimes in the hundreds. PetRescue is launching the "Matchmaker" functionality, it claims, to make the process of refusing applicants quicker to improve the level of satisfaction amongst the public who are currently complaining about a lack of responsiveness from rescue. But anyone whose worked with unsuccessful applicants will tell you, that it is an exercise in futility to try and make someone happy about being refused a pet. A new system which can send out 'no' responses more efficiently might just be (an expensive) way to give people applying for high demand pets more 'no' answers more quickly. They'll just get frustrated and leave the system fast, not slow. Which begins to show the real problem PetRescue has - that their failure to invest in the growth and health of their member rescue groups at the same rate that they've invested in their own success and personal financial benefit, has left a terrible imbalance. A strong PetRescue and a weakened and struggling rescue community. An imbalance they now have the gall to blame rescue for! 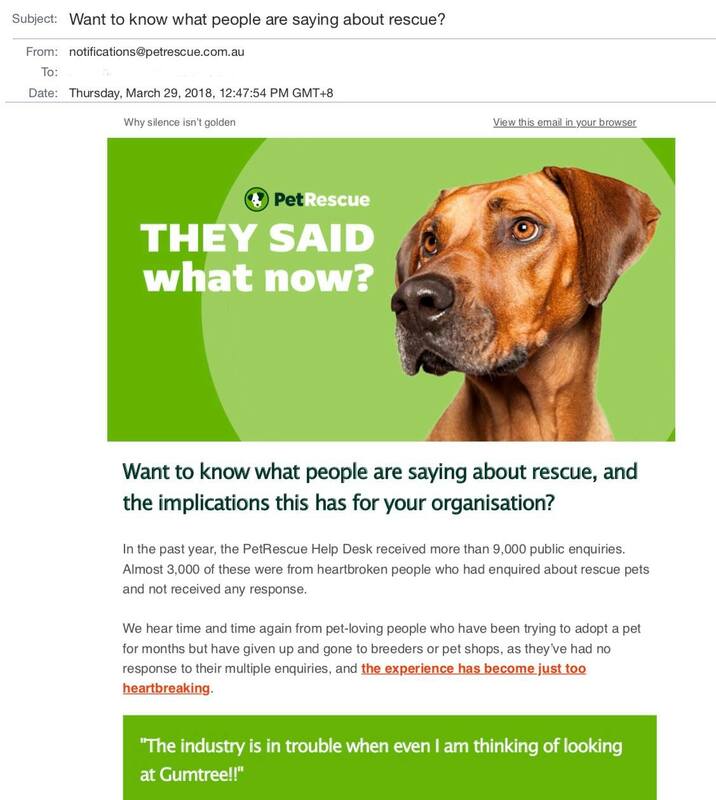 Rescue groups have had some strong feelings about this PetRescue mail out. Not the least being its horrible timing and condescending and inflammatory tone. To blame rescue in any way for the broken homeless pet system in this country is absurd, insulting and totally unfounded. While we knew we would likely be hoping in vain for PetRescue to begin to include the needs of its rescue members in its strategy, this all out attack on the good work of rescue is still surprising and well as cruel.